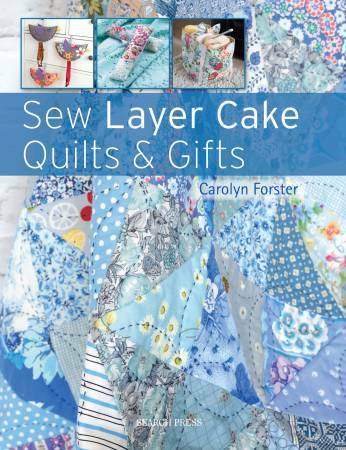 This fantastic new book from highly respected quilter and author Carolyn Forster gives you nine beautiful Layer Cake (pre-cut 10-inch square) quilt designs, made using a variety of patchworking and quilting styles. Also included are nine accompanying 'gift' projects, which range from bags and pincushions to needlebooks and coasters... although you may find them just too good to give away! All the techniques you need are clearly explained at the beginning of the book with easy-to-follow step-by-step photography, and the instructions for putting together each quilt are illustrated for clarity. All the necessary templates are included at actual size.